Fig. 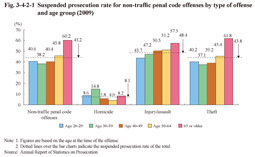 3-4-2-1 shows the suspended prosecution rate for non-traffic penal code offenses by age group in 2009. 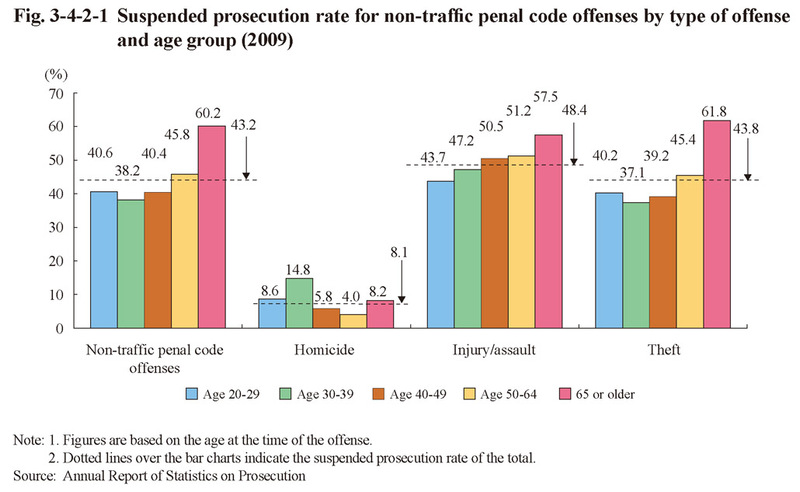 The suspended prosecution rate of elderly persons was higher than that of all age groups younger than 65 for non-traffic penal code offenses, with injury/assault and theft being a similar situation.